Just preceding the 2017 WTO Public Forum, the United Nations Statistics Division will organize the first one-day UN Comtrade Data Fair in close collaboration with the World Trade Organization and the Graduate Institute of International and Development Studies.The main objective of this Fair is to explain and demonstrate the latest on international trade data and their analytical use for trade policies. The objective of the workshop is to improve the understanding of international recommendations on international merchandise trade statistics and on international trade in services statistics, to share hands-on experiences in data acquisition, data compilation strategies (including data standardization and checking), data quality framework and data analysis and dissemination among trade statistics compilers. Furthermore, the discussion will be touching upon the improvement of data access and flow within national statistical systems with better coordination and cooperation among data providers and compilers. The ultimate goal is to produce the highest quality of international trade in goods and services statistics, which are relevant for the policy makers at home and which are also comparable at the regional and international levels. The United Nations Statistics Division (UNSD) and the Directorate General of Commercial Intelligence and Statistics (DGCI&S), Ministry of Commerce and Industry and CSO, Ministry of Statistics and Programme Implementation, Government of India in cooperation with EU-ASEAN COMPASS project jointly organize a Regional Seminar on International Trade Statistics from 3 to 6 November in New Delhi, India. The objective of seminar is to improve the understanding of recommendations on international trade statistics and to share experiences on how to possibly improve the implementation in national statistical systems with better coordination and cooperation among data providers and compilers. And the ultimate goal is to produce the highest quality of international trade statistics, which are relevant for the policy makers at home and which are also comparable at the regional and international levels. In 2010, the United Nations Statistical Commission adopted the Manual on Statistics of International Trade in Services (MSITS 2010) and requested the international community to make extra efforts in providing capacity building activities to developing countries. In this context UNSD organizes a training workshop on compilation issues of MSITS 2010 for Latin American countries from 11 to 14 December 2012 in Bogota, Colombia. The workshop is organized jointly with the national statistical office of Colombia and with support from the US Bureau of Economic Analysis. The agenda of the workshop will cover topics such as the general framework of MSITS 2010, the main data collection and data processing issues with special attention to enterprise surveys and the use of ITRS, the compilation issues related to measuring Travel services and Tourism-related international trade in services, the compilation of foreign affiliates statistics and some cross-cutting issues such as quality management, meta-data and the use of information technology. This workshop is organized by the United Nations Statistics Division (UNSD) in cooperation with the Economic Commission for Latin America and the Caribbean (ECLAC) and the Instituto Nacional de Estadísticas y Censos (INEC) of Costa Rica which is hosting this event. The focus of the workshop will be on the updated and new recommendations for International Merchandise Trade Statistics (IMTS) as contained in International Merchandise Trade Statistics: Concepts and Definitions 2010 (IMTS 2010) and their implementation within the countries of Latin America. Particular attention will be given to the elements of the recommendations that provide additional information and that aim at the further development of the merchandise trade statistics in countries (or areas). The Global Forum on Trade Statistics in February 2011, jointly organized by the United Nations Statistics Division (UNSD) and the Statistical Office of the European Communities (Eurostat) in Geneva, made explicit demands to improve the relevance of international trade statistics by connecting and integrating it with other economic statistics. Global forum on trade statistics: measuring global trade - Do we have the right numbers? Trade statisticians around the world are working tirelessly in getting the numbers right, but are we measuring the right numbers? This is the overarching theme of this Global Forum “Measuring Global Trade – Do we have the right numbers?” organized jointly by the United Nations Statistics Division (UNSD) and the Statistical Office of the European Communities (Eurostat), and in collaboration with the World Trade Organization (WTO). The forum will take place on 2-4 February 2011 in Geneva at the WTO. This workshop on the updated and new recommendations for international merchandise trade statistics (IMTS) and their implementation in countries of the Sub-Saharan Africa region is organized by UNSD in cooperation with the Common Market for Eastern and Southern Africa (COMESA). Participants will learn about the new and updated recommendations and share their experiences in the compilation of IMTS and the implementation of the international recommendations (old and new) on IMTS, also with view on identifying issues and best practices for inclusion in the updated IMTS Compilers Manual. This UN/DESA workshop on the Methodology and Data Compilation of International Merchandise Trade Statistics (IMTS) aims to strengthen the statistical capacity of the five South East Asian countries Cambodia, Lao PDR, Myanmar, Timor Leste and Vietnam in the area of IMTS, in particular with respect to data collection and compilation, and the application of the concepts and definitions for IMTS (covering both existing and new or revised recommendations). The workshop is organized by the United Nations Statistics Division (UNSD) in cooperation with the Economic and Social Commission for Asia and the Pacific (UN/ESCAP) and the National Statistical Institute of Cambodia which will host this workshop. Countries are expected to develop country specific action plans which will serve as guidance for national data compilers to improve IMTS compilation and dissemination. The United Nations Statistics Division (UNSD) is organizing a workshop on statistics of international trade in services in the Latin American and the Caribbean countries in collaboration with the Instituto Brasileiro de Geografia e Estatística (IBGE) and Banco Central do Brasil and Economic Commission of Latin America and the Caribbean (ECLAC). The workshop will be hosted by the Instituto Brasileiro de Geografia e Estatística (IBGE) in Rio de Janeiro between 1 and 4 December 2009. The objective of the workshop is to train representatives from national statistical offices and central banks from the Latin American and Caribbean countries on methodological development of the statistics of trade in services and also the current country-practices in compiling trade in services statistics. The training will focus on both the interpretation of conceptual issues and options for the implementation of the international recommendations in country specific circumstances and facilitate the establishment of a network of statisticians in the participating countries working on service trade statistics. The United Nations Statistics Division UNSD) of the Department of Economic and Social Affairs (DESA), in cooperation with the Economic Commission for Latin America and the Caribbean (UN/ECLAC) and the Departamento Administrativo Nacional de Estadística (DANE)of Colombia organizes a workshop for Developing Countries on the Revision of the Recommendations for International Merchandise Trade Statistics (IMTS), which will take place from 31 March to 3 April 2009 in Bogotá, Colombia. This workshop is part of a special effort of UNSD and UN/ECLAC to inform and receive feedback from developing countries on the IMTS revision process. The focus of the workshop will be on the concepts and definitions for international merchandise trade statistics as contained in International Merchandise Trade Statistics, Revision 2 (IMTS, Rev.2), and their application in countries. The United Nations Statistics Division (UNSD) is organizing a virtual meeting of the Expert Group on International Merchandise Trade Statistics (EG-IMTS) to discuss further the revision of the international recommendations on IMTS. This meeting will be conducted electronically through an 'expert forum' between 5-26 November 2008. This meeting is an important part of the revision process of the existing recommendations for international merchandise trade statistics which were approved by the UN Statistical Commission at its twenty-ninth session and published in International Trade Statistics: Concepts and Definitions, Revision 2 (IMTS, Rev.2). The objectives of the meeting are (i) to discuss the results of the first round of worldwide consultation on the 17 issues most relevant for setting the scope of the future recommendations as identified by the EG-IMTS and (ii) to agree on how to incorporate them into the future revised recommendations. To facilitate the discussion UNSD will provide its initial proposals for IMTS, Rev. 3 on all 17 issues which were submitted for consultation. These proposals are based on the results of the first round of worldwide consultation. 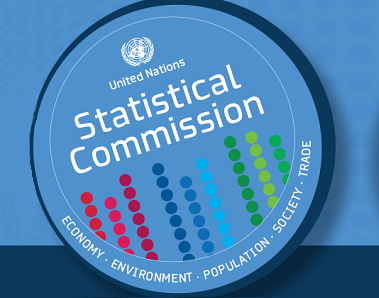 The United Nations Statistics Division (UNSD), in collaboration with the State Statistics Committee of Ukraine and the Interstate Statistical Committee of the Commonwealth of Independent States (CISSTAT) is organizing a workshop on statistics of international trade in services in the CIS countries. The workshop will be hosted by the State Statistics Committee of Ukraine between 7 and 9 October 2008 in Kiev. The workshop aims to train representatives from national statistical offices and central banks from the CIS countries on methodological development of the statistics of trade in services and also the current country-practices in compiling trade in services statistics. The training will focus on both the interpretation of conceptual issues and options for the implementation of the international recommendations in country specific circumstances and facilitate the establishment of a network of statisticians in the CIS countries working on service trade statistics. Joint UNSD/CEMAC regional workshop in central Africa on the Compilation of International Merchandise Trade Statistics (IMTS). Customs officers and statisticians of the National Statistical Offices came together to solve problems in producing trade data.